Newcastle University Peer Mentoring is proud to launch the parent HUB. This hub is aimed for all students who are parents, foster carers, adoptive parents, or about to become parents, regardless of age, gender or sexuality. The free online hub allows you to share experiences, ask questions and be part of a parenting community within the university. There will be trained university wide peer mentors as part of the network to offer one-to-one support and guidance, as well as answer any question in the discussion board. The hub will be based on Microsoft Teams and is an excellent source of advice and support from like-minded, empathetic and patient peers. There will be a schedule of face-to-face activities for you to meet up with other parents, ask questions, have a chat, share your experiences and support you through the balance of being a student and a parent. And for those of you unable to attend these, there will also be a range of ZOOM online conference activities to allow you to meet new parents and be able to engage in conversation as though you were in the same room from the comfort of your own home. The parent hub will also allow you to share, lend, borrow, give, donate, sell, and buy those much needed pieces of equipment and clothing via the online discussion group. The files section of the hub will allow the University to share useful information and documents with you – as well as members of the network being able to upload documents as well. There will be the opportunity to share your experiences of child-friendly shops, restaurants, taxi companies, as well as provide some top tips of baby-changing facilities in the University and city, and baby feeding friendly places. To join the parent HUB please email Tony Chapman-Wilson at peer.mentoring@newcastle.ac.uk now. There will be the official launch of the parent HUB at an activity event on Wednesday 17 April 2019 between 11am and 2pm. This will take place in the Lindisfarne Room in the Hadrian’s Building opposite the Bedson Building and Boiler Room. There will be refreshments and activities for the children, as well as the opportunity for you to meet other parents. There will be a child feeding room available, as well as the opportunity to speak to members of the University Peer Mentoring scheme and Student Health and Wellbeing Services. Come along at any point during the event and sign up for the parent HUB on the day as well. How and when are results of Module Evaluations received by Academic Staff? The survey is set up by local Professional Services staff to automatically send the PDF results upon closure of the survey. This option can be selected during the creation of the survey. Local Professional Services staff manually send the results in PDF format from within the EvaSys system at an agreed time. This option can be used if the automatic dispatch is not selected during survey setup. In both instances the timing of the surveys and the receipt of results should be agreed within the academic unit, paying particular attention to survey close times to allow for discussion of results with senior colleagues if required. The Policy on Surveying and Responding to Student Opinion details who is entitled to see results of Module Evaluations. “Professional Issues… Sounds fascinating.” Thus my (admittedly extremely sarcastic) thought upon hearing a module of this name would comprise the greater part of my workload during semester one of my final year becoming a speech and language therapist. Both the Postgraduate Research Experience Survey and the Postgraduate Taught Experience Survey closed with the highest response rates that Newcastle University has ever achieved at 65% and 57% respectively. This is a fantastic achievement which would not be possible without the continued support and promotion of the surveys from colleagues across the university, thank you! In terms of Newcastle’s overall satisfaction rate for the PRES, 85% of students agreed with the statement ‘Overall, I am satisfied with the experience of my research degree programme’. This represents an increase of 2% on 2015, and is 3% higher than the Russell Group average. In the PTES Early results show that satisfaction has remained high with over 90% of students agreeing that staff are good at explaining things and are enthusiastic about their teaching. For further information regarding student surveys please visit our webpage. The Postgraduate Taught Experience Survey (PTES) will remain open until Friday 16th June. The PTES asks postgraduate taught students in universities across the United Kingdom about their course and their learning experiences. The survey presents an opportunity for students to shape the student experience: the feedback we receive is valuable in helping to enhance the postgraduate taught experience at Newcastle. The Postgraduate Research Experience Survey (PRES) will launch on Monday 20th March and will remain open until Thursday 18th May 2017. The PRES is the only UK higher education sector-wide survey to gain insight from postgraduate research students about their learning and supervision experience. The survey is designed to capture the opinion of any research student on a doctoral or research master’s course. It also considers students’ motivations for taking their chosen programme. The survey presents an opportunity for students to Shape the student experience: the feedback we receive is valuable in helping to enhance the postgraduate research experience at Newcastle. The PRES is an online survey and can be completed on a mobile device. Eligible students will receive an email with a link to complete the survey. Nearly a month has passed since the launch of the NSS so we thought it would be helpful to share some good ideas from colleagues across the university who have achieved strong early response rates. The Dental School used a mock exam feedback session to run through the NSS information slides at the end. Why not go one step further and also leave time for students to complete the survey on their mobile devices? In the future it is envisaged that this strategy will be rolled out across other programmes in the School. Professor Janice Ellis from the Dental School told us; ‘…we have good Student/Staff committee structures and in the general we have tried to promote an environment in which students genuinely feel that their opinion is valued. This has been reflected recently in student comments at the Student Staff Committee’. A key theme emerging is that Schools who promote an environment where students feel that their opinion is valued tend to achieve higher response rates. This can be achieved by actively ‘closing the loop’ through demonstrating and communicating actions taken following Student Staff Committees, Module Evaluation and Stage Evaluation throughout all stages of degree programmes. Did you know that students can complete the National Student Survey, module evaluations and stage evaluations using their mobile devices? Both the NSS and EvaSys evaluations can be completed on iOS, Android and Windows based devices. Students don’t need to be tied to a PC to complete the evaluations, they can complete them anywhere – on the bus, on the Metro, at the end of your lecture – you name it, as long as they have signal, they can do it! Letting your students know that they can complete the evaluations on their mobile devices may even help boost your response rates – they might not be aware that they can use their tablets or mobiles (or how easy it is)! You could use the end of your lecture or seminar to ask students if they could use their mobiles to complete the evaluation on a module, without the need for an IT Cluster. You could also ask your final year SSC representatives to complete the NSS towards the end of a committee meeting and then spread the word to their course mates. How do students use their mobile devices? It’s simple, for the NSS students can follow this link: http://thestudentsurvey.co.uk/ or follow the link sent to their email. For EvaSys evaluations, students open their student email and find the EvaSys emails with their personal link in. Once they click the link, the evaluation will open and they can complete it using their mobile device (some students will need to copy the link by highlighting it in their email and pasting into a web browser). Alternatively, for EvaSys evaluations, students can log into Blackboard on their mobile device and find a list of open surveys under the ‘My EvaSys’ section on the ‘My Institution’ tab. You could even pop a notification on your Blackboard module page with some directions to the evaluation, or show students during class where to find them. We advise that students save the evaluation as they are completing it – this way they don’t need to start from the beginning again if they get disconnected. It also means they can exit the evaluation, and go back to the place they last saved when they re-open the evaluation. For more information, please take a look at our guide to using mobile devices. Actively encourage completion using a mobile device. Wireless access is being continuously improved across campus which should make this really easy! When using a smartphone students just need to follow the link in their email which will automatically take them to the mobile version of the NSS Survey. Arrange dedicated information sessions or set aside a brief amount of time at the start or end of timetabled sessions for students to complete surveys on their own devices. Task student ambassadors or stage reps with encouraging their cohort to take part in surveys by posting on School/Programme social media. Encouraging discussion amongst student cohorts may lead to positive suggestions for improvement. Try to ensure examples of improvements made both in house and across the wider University in response to survey results are communicated widely. You Said, We Did highlights recent University wide actions. It might also be a good idea to highlight separately what has been achieved at local level. Why is the NSS important? Aside from helping the University ensure that students are satisfied with its courses the NSS is also increasingly crucial for prospective students and parents in deciding which institution to choose. Data from the NSS is publicly available via Unistats. This official site allows prospective students to compare information across institutions and subjects/courses. The site draws together comparable data on areas that students have identified as important in making decisions about what and where to study. As it is publicly available the NSS can also be used by prospective students but also by other bodies wishing to measure student satisfaction and experience, from newspapers to government and policymakers. Monday 6th of February sees the launch of the 2017 National Student Survey (NSS) at Newcastle University. 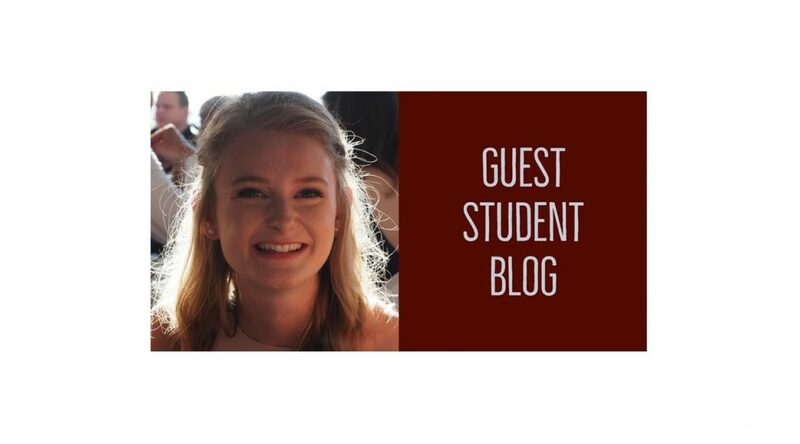 Entering its thirteenth year, the NSS gives students the opportunity to give their opinions on their experiences at Newcastle, from teaching to accommodation. We will survey our final year undergraduate students in Malaysia and Singapore as well as those based here in the UK. We are unable to survey non-UK based students as part of the NSS, so we will be running a simultaneous survey using EvaSys for students at NUMed and those at SIT. The results of this additional survey will not be publicly available in the same way that NSS results are, but will allow us to have comparable data for Schools and programmes on our international campuses as well as for those programmes delivered here in the UK. The NSS is an annual survey of final year undergraduates in England, Northern Ireland, Wales and Scotland. It is a high profile annual census of nearly half a million students across the UK, which gives students a powerful collective voice to help shape the future of both their course and university or college. The survey is widely recognised as an authoritative measure of student satisfaction and, as such, the results are highly visible on Key Information Sets (KIS) and on Unistats, and often reported in the media. It has helped to build a broader picture of the quality of higher education in the UK and has made it possible to monitor trends over time. 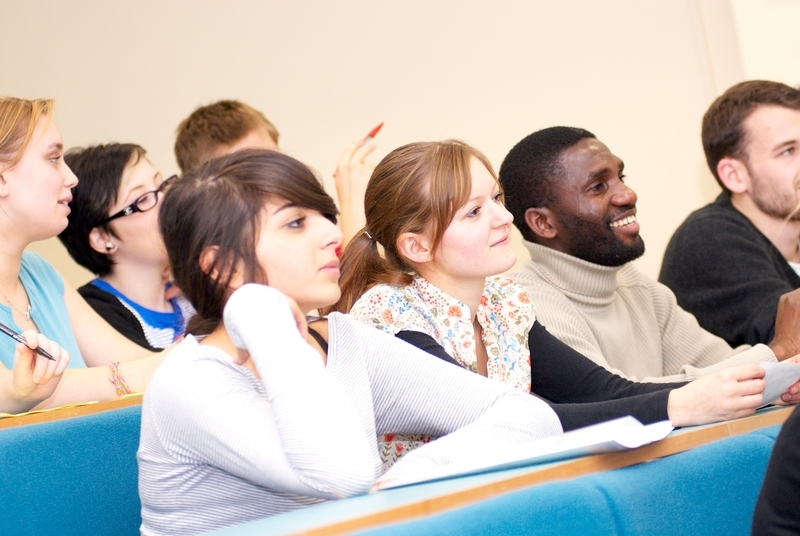 The NSS is commissioned by the Higher Education Funding Council for England (HEFCE) on behalf of the UK funding bodies. Ipsos MORI, an independent research company, conducts the survey. What questions does the NSS ask? The questions allows students to provide feedback on a range of topics, relating to aspects of their learning experience which include the teaching on the course, assessment and feedback, academic support, organisation and management, learning resources, and personal development. Students also are asked about their overall satisfaction. All final year undergraduates can complete the NSS. WHO BENEFITS FROM THE NSS? The University and NUSU examines the anonymised NSS data internally to identify areas of strengths and weaknesses. This information can be used to help effect changes designed to enhance or improve the student experience for both current and prospective students. How important is the NSS? Data from the NSS are publicly available via Unistats. This official site allows prospective students to compare information across institutions and subjects/courses. The site draws together comparable data on areas that students have identified as important in making decisions about what and where to study, including the findings of the NSS. As it is publicly available and the NSS can also be used by prospective students but also by other bodies wishing to measure student satisfaction and experience, from newspapers to government and policymakers. This year we will once again be focusing on the Schools’ league table that has been a success in previous years. Two prize categories will exist – one for subject areas with fewer than 100 students, and one for those with 100 students or more, with two prizes available within each category: £500 for first place and £250 for second place. Again, we are including Malaysia and Singapore in the league table to help support their efforts in encouraging responses too. Weekly response rate updates will be circulated to on the nss-updates mail list, so everyone can see how their School/subject area is doing and who is in the lead on the league tables. Members of staff who would like to be included in this list can request inclusion by contacting ltds@ncl.ac.uk.